We've just launched a new, redesigned and more usable version of ShareLaTeX! The new version is more consistent, more intuitive, and the features you need are easier to find. If you haven't already, then go give it a try! Make the editor cleaner and free of distractions so that you can focus on your writing. Make it easier to find all of the features of ShareLaTeX and tune your personal settings to your taste. Make managing a large number of projects easier with a better folder system and bulk actions on multiple projects at once. 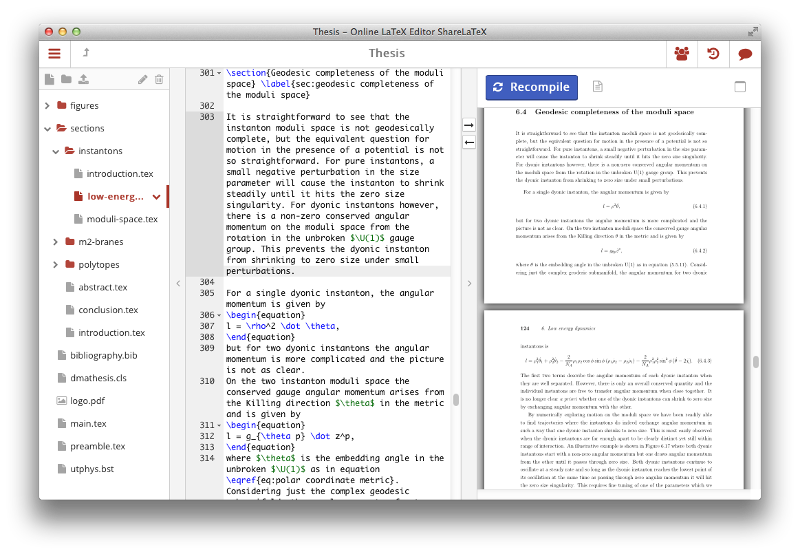 I hope that these things will make using ShareLaTeX an even more pleasant experience than it was before. As always, we'd love to hear your feedback, and have put together a form to collect your thoughts on the redesign. Please help us out and fill it in https://sharelatex.typeform.com/to/qnmNGd (update 20/02/2019: archival link only, survey closed). Of course, all of these changes are also part of the open-source edition of ShareLaTeX so you can enjoy them locally too!